p r e s e n t s Th e M Rep o RT | 29 Business Process outsourcing Guide Many companies have tightened their operating ships—and strengthened their bottom lines—by clamping down on costs and sending various segments of their business to companies that can handle the volume. 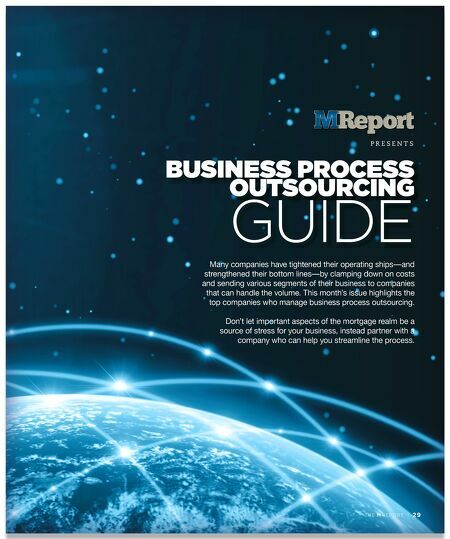 This month's issue highlights the top companies who manage business process outsourcing. Don't let important aspects of the mortgage realm be a source of stress for your business, instead partner with a company who can help you streamline the process.